Since beginning the two challenges listed below, to my surprise I have found that there are lots of great Australian authors out there who don't really get much of a look in because international best sellers get all the space in bookstores and on-line. 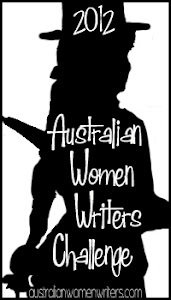 The good news is most public libraries DO embrace Australian authors and you will generally find most of them in your local library. If you can't find it put in a book request at your library and see if they'll get it in for you. Or, if you would prefer to purchase ask your bookshop to order it for you. Most are also available as e-books (kindle, ibook etc). Click on the links below for more details about both reading challenges. Both allow participants to read any number of books, so it definitely doesn't have to be arduous. I will be posting my reviews for both challenges here on my blog. Watch this space! Here are my reviews - I will progressively post them as I complete each book. I must admit I’m not a huge fan of historical novels, but this one had been recommended to me by so many people I thought it was worth a read. I’m glad I did. While a little slow to begin, the tentacles of the story gradually unfurled and drew me in and by the end I couldn’t put it down. The most outstanding thing about this book is the prose. It positively flows off the pages and surrounds you like a warm bath. 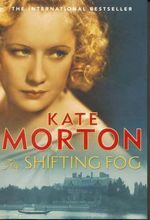 Kate Moreton has captured the time period perfectly – from the dialogue to societal expectations, fashions and the social structure of England in the early 20th century. The setting is also perfectly conveyed – you feel like you are in the English manor and you can see and feel the fog rolling in. The historical references to World War I were also very accurate and compelling, giving a human view of what happened to men who went off to war. To be honest, I didn’t find the mystery that exciting when it was finally revealed but it simply doesn’t matter. To get to the point of the mystery being revealed was such a beautiful literary journey I couldn’t be disappointed. Beyond The Break tells the story of two lifelong friends - Steph and Annie - who grew up in the Sydney suburb of Coogee in the 1950s, but are both now living in America. The sudden death of Annie prompts Steph to return to Australia, to try and come to terms with the tragedy. Once back home she renews her relationship with the man both women once loved and finds that uncovering the past brings up a whole new set of issues. The story is divided into two parts – the 1950s and the 1980s – and both are captured exceptionally well. Although I personally have only lived through the eighties, I’ve heard enough about the fifties to know the author has recreated that era with great accuracy. The city of Sydney is also brought to life vividly, evoking the beach culture and summer life with enough clarity that you feel you are right there. The themes of the book are friendship, teen angst, love and betrayal. It also illustrates the point that while past events can be buried deep within, they will almost always surface again somewhere, needing to be re-examined and resolved in some way. Beyond the Break also examines the often troubling relationships that can exist between mothers and daughters, including emotional and physical abuse that can have a lasting impact on the adults we become. While there is nothing particularly uncommon about the issues revealed, the story was interesting enough to keep me engaged and pondering just what had transpired between the two friends. Because the story is clearly divided into two parts, there wasn’t any difficulty in knowing when each part of the storyline was focussed on. Beyond the Break is an engaging, enjoyable read. I had never heard of this book (or author) until I noticed other reviews of it on the AWW Blog (which again shows that our own homegrown authors don't get nearly enough publicity). Anyway, upon reading them I knew that I just had to read the book and I have to say it was definitely worth the wait at the library. I actually finished it within 3 days, which is unusually fast for me. First up I noticed the similarity between this book and the Kellie Lane case (of the water polo player who was convicted of murder after claiming she had given up her newborn daughter in an illegal adoption). In saying it is similar, it is only the element of the missing baby that is the same - which of course is a very compelling theme. The rest of the circumstances are very different. Jodie Garrow had a hellish childhood on the wrong side of the tracks. Fighting her way above her background, she manages to secure a scholarship to a private school and from there manages to educate her way into the middle class. From here she marries well and has all the 'right' things - a solid marriage to a lawyer, two children and a nice home in the 'right' area of the regional community of Arding, NSW. But Jodie also has a secret - two decades ago she gave away a baby in an illegal adoption. 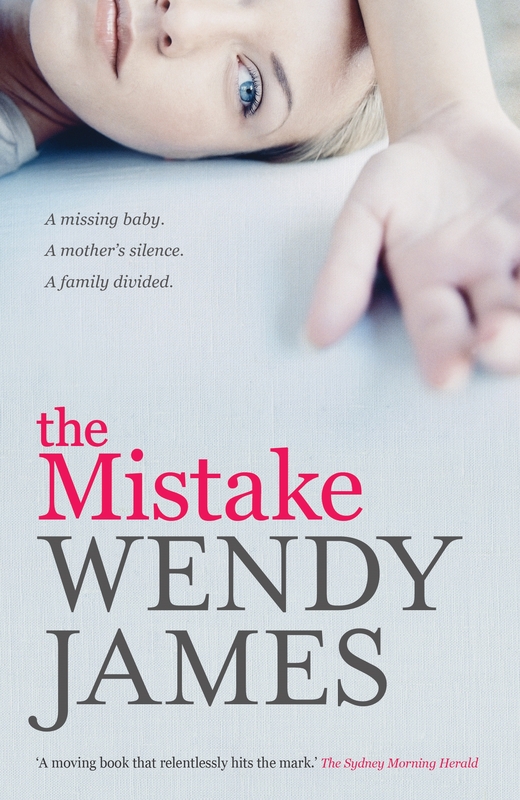 Believing it will never come out, Jodie's world comes crashing down when - through a series of unlikely circumstances - the missing baby is reported to the authorities. And then the nightmare begins. One of the best things about this book is the way it gets right into the storyline. There is no tense wait to get to the missing baby, it comes about in the first few pages. This suspense continues throughout the story, with both flashback and present day events woven seamlessly together. The book really captures the way the media pounces on cases like this and creates a momentum that is hard to stop. Jodie is harassed and spat at and her family are similarly affected by her actions from so long ago. Throughout all this Jodie maintains a seemingly detached calm - continuing with her daily life, refusing to believe what has happened. She seems much more concerned with keeping up this polished public face than expressing any emotion about what happened to her baby. She is a complex character, but an intriguing one and as the book progresses and you read more of the flashback scenes, you do get more of a sense of what has made her the woman she is. While I started to 'get' her a bit more by the end, I don't think I could say that I liked her. She just seemed too plastic. Overall this was an amazing book. The storyline hooks you early one and keeps you turning the pages as fast as you can, hungry to devour more of the narrative. It works on so many levels - including that of the moral dilemma and how we treat people accused of things before they are proven guilty.